Offices don’t need to take up a whole room of your house to be functional. 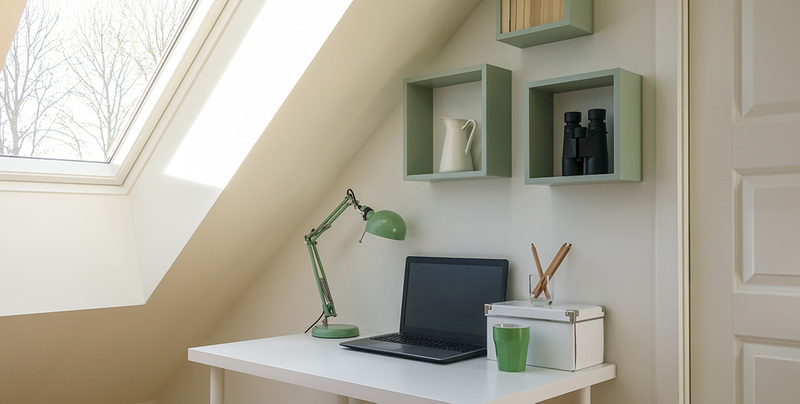 Save yourself an extra bedroom by building your office into a wardrobe or alcove that’s big enough for a small desk, a few drawers and shelves and perhaps a pot plant. The small home office makeover is a great way to give yourself a space to work without losing a bedroom. And the best part? If you build your office into a wardrobe, you can lock your work away when you’re done. If you’ve got an outdoor area, you can create a whole new room in your house as a home office in the garden. These are often small so they don’t take up much of your outdoor space and have the advantage of being separate from the home, which is especially handy if you have small kids. Plus it makes for a very short commute! 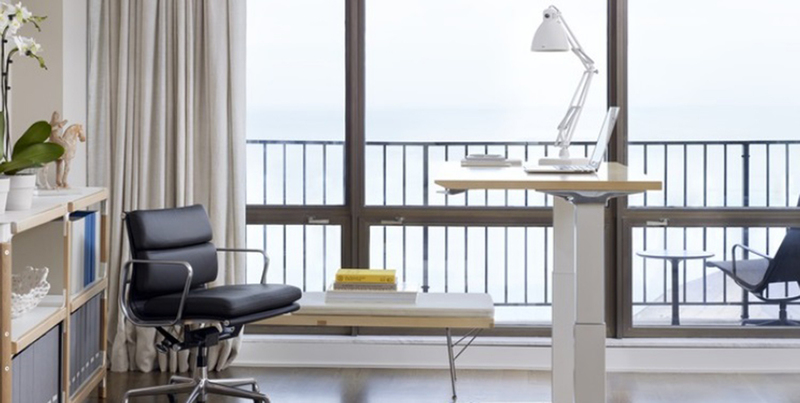 If you’re just looking for a small office makeover to bring your home office up to date, check out the latest trends in ergonomics – it’s gone way past the yoga ball seat. Sitting/standing desks, an ergonomic mouse that helps prevent RSI, footrests and ergonomic chairs are all ways you can take care of your health while being productive. There are all kinds of research about how lighting affects mood, health and productivity. If you’re struggling with a dimly lit room or harsh artificial lights, it could be affecting your eyes, circadian rhythms and mood. Look into increasing natural light, such as adding mirrors and replacing heavy curtains, or investing in smart lighting options. If you’re looking for home office makeover ideas that will truly improve the effectiveness of the room, lighting should be one of the fundamentals. The advantage of the home office is that it doesn’t have to look like a traditional office. 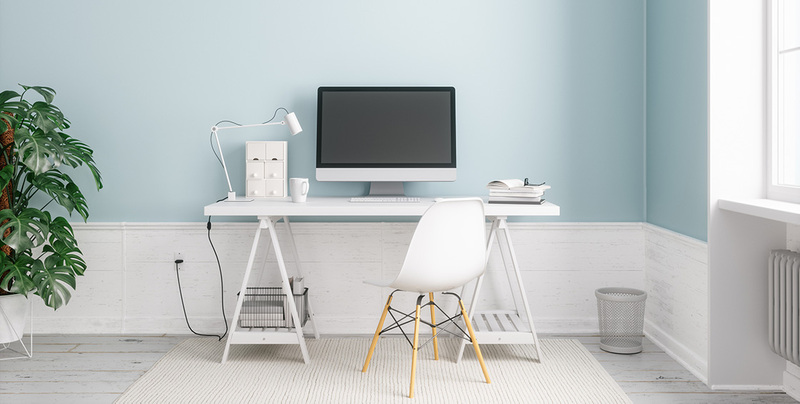 Put your personal stamp on the space with a DIY home office makeover that speaks to your personal taste, whether that’s a feature wall with dramatic wallpaper or a sleek dark grey paint. This is the ideal home office makeover on a budget project: you can take a weekend and have a whole new room by the end of it. Don’t forget to take your home office makeover before and after shots for Instagram! Wondering how much your home is worth? Get an instant property estimate from Upside in under one minute.